This is a unique and amazing opportunity to meet and touch a number of our hand-tame owls and learn about their characteristics. These owls have been hand reared for educational purposes and range from some of the smallest species in the world to among the largest. There is always a member of staff on hand to answer any questions and tell you lots of fascinating facts. The hand tame area is accessible throughout the day except when there is a flying display going on. In poor weather this activity takes place in the Owl Encounters Barn. 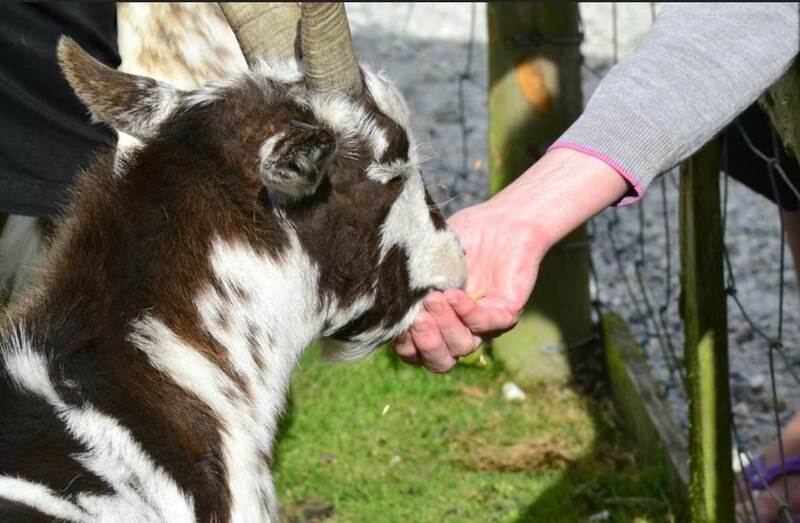 We are also offering one to one handling sessions on a daily basis with our experienced staff which have proved to be extremely popular and these can be requested during your visit. During very busy periods may not be able to accommodate owl handling sessions that are not booked in advance. If you would like to be assured of a session during your visit, please call us on 01726 860182 to book a place. You can buy gift certificates for this unique wildlife experience here. We have three flying displays each day. In poor weather displays take place in our new Owl Encounters Barn. This is a fantastic opportunity to see some of our birds in flight and learn more about how they live in the wild. Please see the board in the entrance for flying times. Alongside our public flying displays we are now able to offer falconry courses and handling days at very competitive rates. The falconry experiences need to be pre-booked in advance and please allow at least 4 weeks notice to avoid disappointment as they are on a one to one with our falconer. Its not all about the owls! 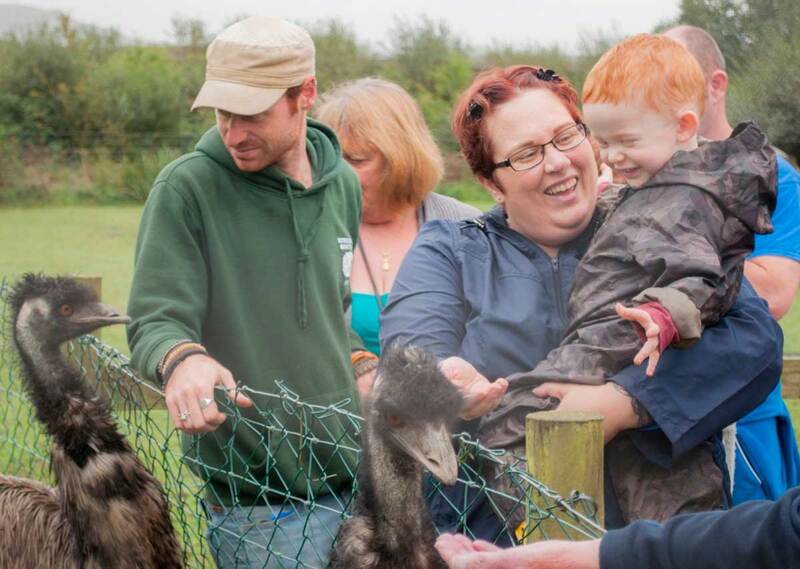 Alongside our Flying Displays and Owl Close Encounters we also have two animal encounters a day where visitors can join the keeper with feeding and stroking some of our other animals and learn more about their behaviour and characteristics. 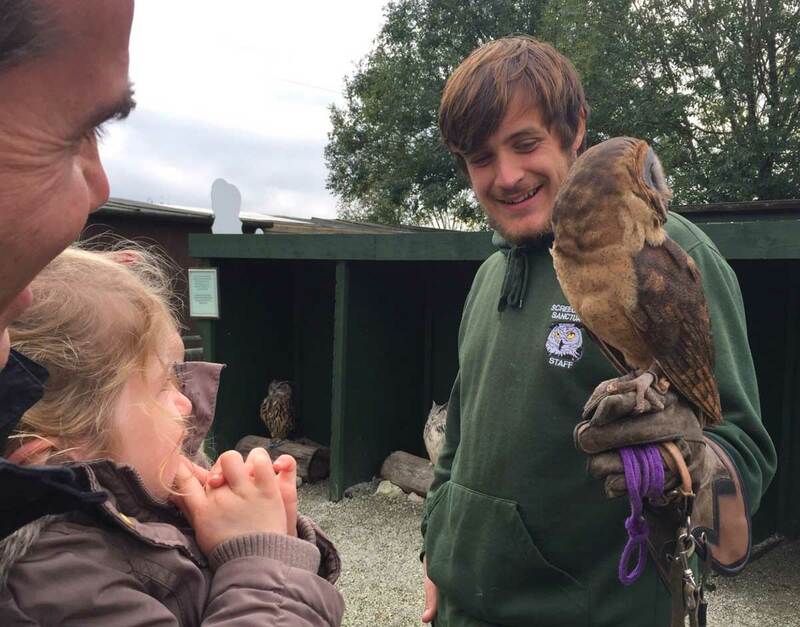 Our one to one owl handling sessions have proved so popular that we have decided to offer a similar experience with some of our furry residents. 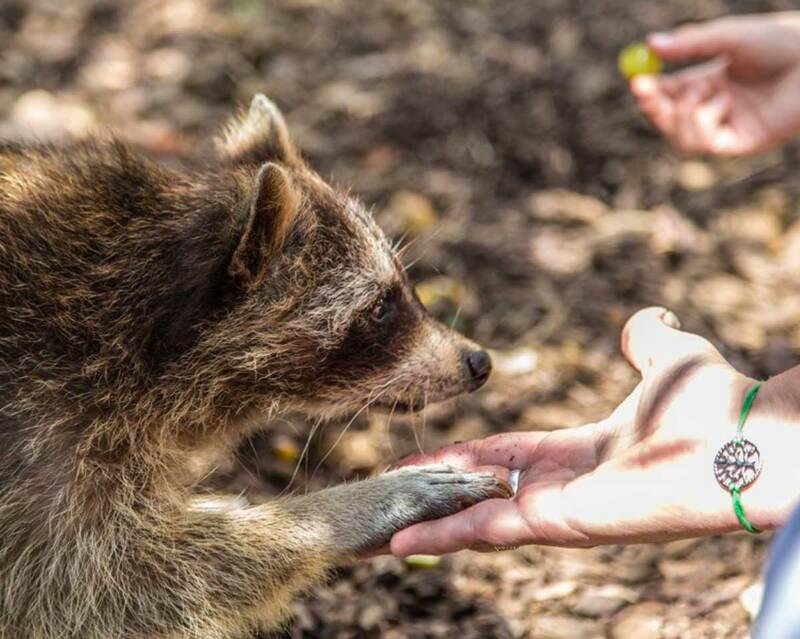 You can choose to be with either the Meerkats or the Raccoons for the 30 minute "Meet the Furries" sessions. Participants must be 12 years and over. Bookings is advised as sessions are limited to two people at a time.